On Friday FBI agents walked into the offices of Lake Station, Indiana at 1969 Central Avenue and ordered all employees to step away from their computers according to sources close to the investigation. Although the Gazette has confirmed no computers were seized, the FBI reportedly got all the information it needed by using high tech equipment to download from the City servers. This represents a significant step in an ongoing investigation. You will recall that the indictment and arrest of George VanTil, the most recent indicted politician in Lake County, was preceded by a similar public FBI raid. Not only is judicial review in the form of a warrant required before FBI agents can take such action, the US Department of Justice has strict guidelines dealing with public corruption cases. Sources say that the crux of the investigation centers around two incidents. The first relates to using campaign funds for personal use. Sources tell me this aspect of the case is unclear. Several point to various expenses which appear to be personal but there is none that stands out when viewing reports of similar local politicians. 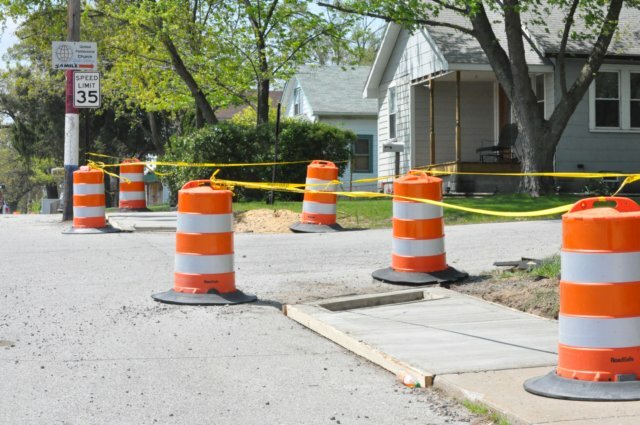 The second investigation is related to an “add-on” charge by a street contractor. According to a source close to the investigation, the Mayor suggested he would get an additional charge approved on a construction project that was in progress. In exchange, the contractor would pay the Mayor’s wife a sum of money. Such charges are often scrutinized by the State Board of Accounts as well as Federal Prosecutors because they can be used to award bids to friendly contractors. In many cases, the bid comes in low and the contractor then submits additional charges which are approved by the municipality. Other contractors have no opportunity to compete because they are not assured of having additional charges approved later. In this case, however, sources say the contract was awarded prior to the time of Soderquist’s election. Soderquist is also on the governing board of the Lake County Democratic Organization. If indicted, Soderquist would be the second current sitting member who is under federal indictment. A Lake Station construction contract appears to be at the center of a recent FBI raid on city offices.